A peek at my life. 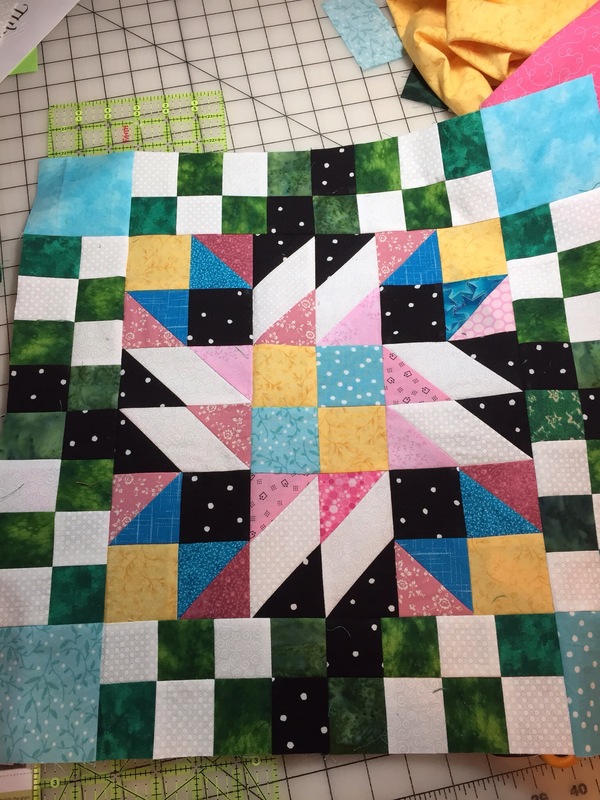 My quilting, my cooking and a look at the beautiful place that I live! Oh my what a month February has been…. I can’t ever remember a month where we had back to back to back storms. It would storm on Saturday and Sunday and then storm again on Tuesday or Wednesday. We would just get dug out from one storm in time for the next one to hit. It has been epic! 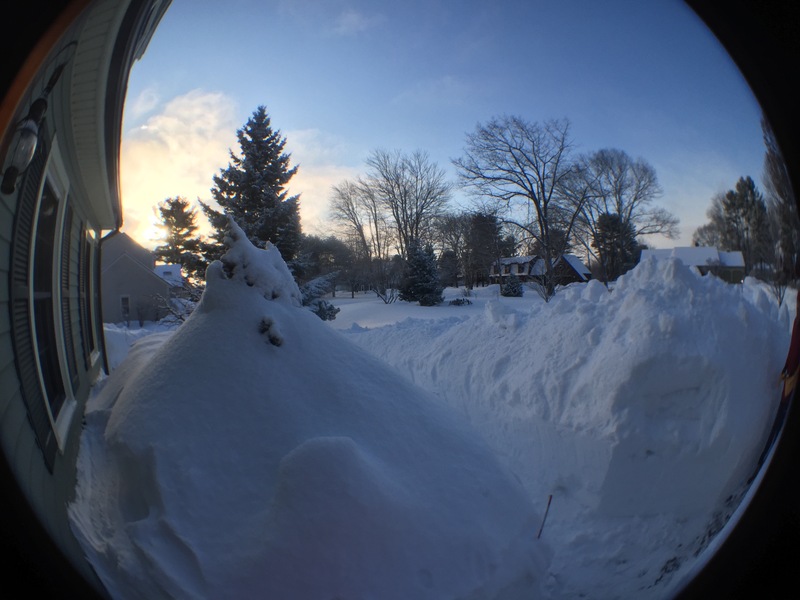 I have heard various reports on the total amount of snow that has fallen – anywhere from 70″ to 90″! That is a lot of snow. During all of this we have also been breaking records for cold temps. BRRR!!! let’s just say it has really been winter here in the Northeast and especially along the coast. I am not complaining I live in Maine not down south where they freak over a dusting. While all of this has been happening we brought home a new baby. The four legged kind. 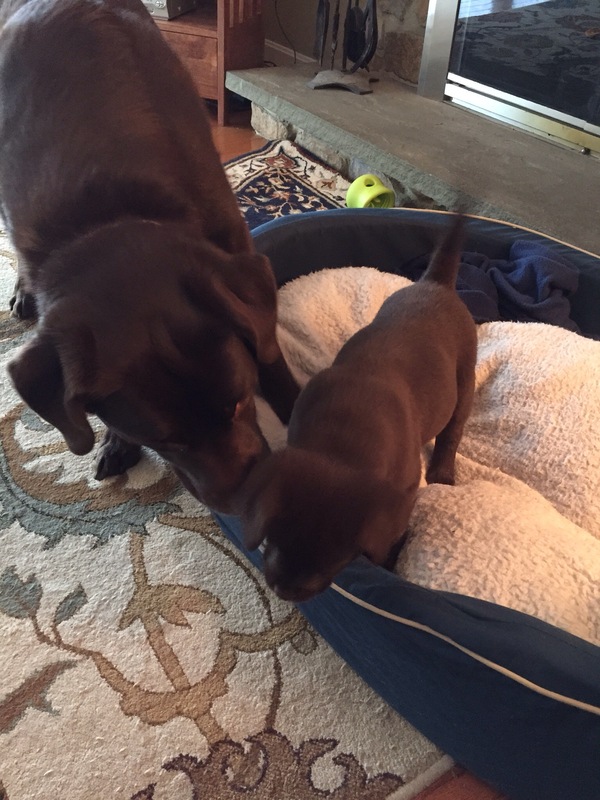 Miss Stella has joined our family. 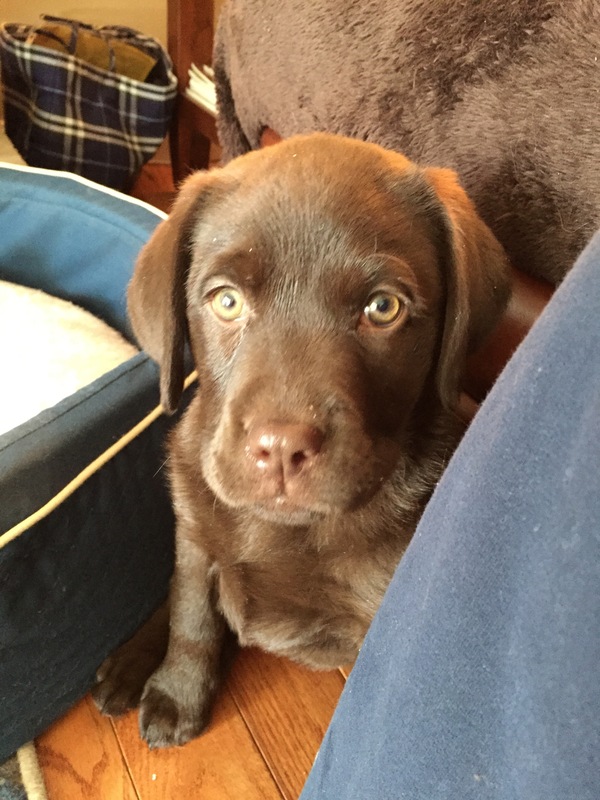 Stella is a chocolate lab who is a little spitfire. Stella has us all jumping at her command, she is just so darn cute. 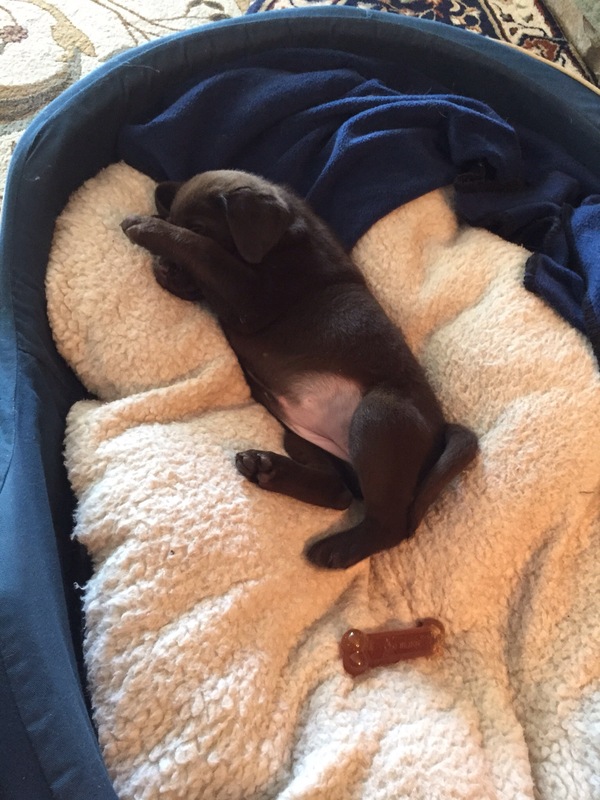 Stella – one of her rare quiet moments! Gracie is not at all sure that she is happy about the newest family member but she is definitely telling Stella to stay our of her space. They are sharing toys and people but as with all sisters they do get on each others nerves! During all of this fun in the snow we have been doing some puppy training. Stella knows to go to the door and ring the bells when she has to go outside, she comes when she is called – even when I don’t have a treat in my hand and she sleeps through the night. She does not want to accept that Gracie is the boss yet but she will learn. 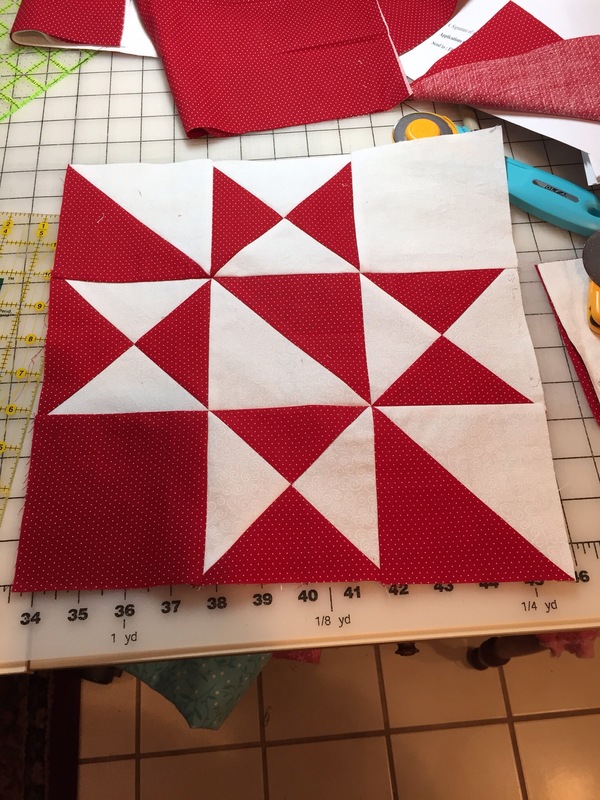 It has been a great month to stay in and cook and sew – I have been stocking the freezer with all sorts of goodies that make it easier for me to have a hot meal on the table and still get some sewing and quilting done. 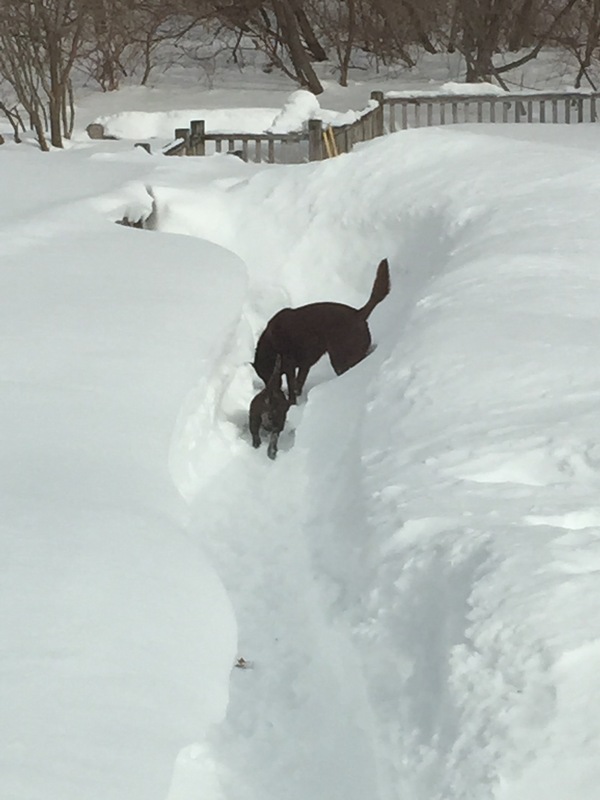 I don’t mind the snow but I am not in charge of relocating it after every storm. Our snow blower decided that it didn’t want to be in charge of snow removal either and after 15 years it died. We will get a new one next year when there is actually a selection. Not many snow blowers available in the Northeast these days. Here is a little peek at some of the sewing that I have been doing lately. Stay warm, Spring is coming – hopefully the snow will melt by May. Oh the weather is lovely…. Where have I been? What have I been doing! How can it already be the end of February?…..